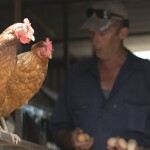 Kangaroo Island produces food as it was intended; purity, quality and sustainability are the key ingredients. Yes, you must be madly passionate to be a commercial food and beverage producer here. 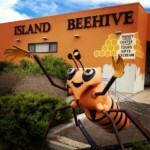 But the challenges of Kangaroo Island are truly also the opportunities – isolation from the mainland provides freight and economies-of-scale challenges but it also means less disease, greater biosecurity and unique products borne of ingenuity and reflecting the wild Island landscape. 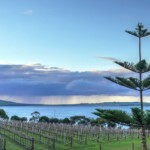 Islanders have a long tradition of self-sufficiency and this translates to a fascinating food, wine and beverage trail. In all corners of the Island you can savour its delights with private catering, eating in the wild or at restaurants, cafes and cellar doors… even under a fig tree! 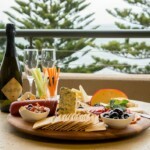 Discovering Kangaroo Island’s culinary secrets is an odyssey for lovers of fine food, wine, beer and spirits. Kangaroo Island Shellfish, the largest commerical oyster farm on Kangaroo Island. 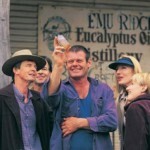 Yumbah Kangaroo Island first started farming Abalone in 1995 on the North Coast of Kangaroo Island in tranquil Smith Bay.